We are lucky enough to work with some local businesses and partners to help us with the club and our fundraising. Living Sport were kind enough to agree our application to their funding to help us find extra Leaders for our sessions following our super fast growth. 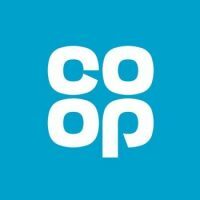 Our local CoOp were kind enough to organise some vouchers for us which enabled us to supply teas, coffees and squash at our One Mile for Mind event which helped us raise £276 for Mind. Personal Trainers Becky & Chris at Innovation Fitness work with us to provide strength training to complement our run sessions. You can find them on Facebook where you can get details of their Boots Camps and PT sessions. We were recently successful in our application to Mick George to secure some funding for outdoor strength training equipment. We are often seen over at St Judths field working out and this equipment will enable us to offer a wider range of exercise and fitness to more people within the Sawtry Community. Advance Performance in Peterborough have kindly provided the Club with £5 vouchers for their stores in Peterborough & Cambridge. These will come in very handy for every runner’s next pair of running shoes.